You have likely heard the saying, “a goal without a plan is just a wish,” and this age-old adage rings so true for all people pursuing all types of endeavors. And for basketball officials embarking on the 2017-18 season absent a detailed strategy on how to achieve a stated desire — a better schedule; advancement to the next level — you are in a rudderless boat on an open sea hoping the winds of fate blow you to your destination. Seeking officiating success described in this manner seems laughable; but yet many officials take this approach with their beloved avocation. While refereeing falls somewhere on the scale of providing a bit of exercise for you in a game that you enjoy, to an important source of revenue contributing to your family’s lifestyle, the inner-workings of the game are run as a business. And the more of a business approach you bring to managing your career, the more success you will enjoy. Hungry for more? Click the book image to the left and “Look Inside” on Amazon.com. Or take a deep dive into what it takes to be a “GREAT Official” … by reading more here. The GameTracker Journal is aligned with time management experts who have shown that when you write down your goals, share them with people, and monitor your progress, you will increase your chances of succeeding by a staggering 76%! Stop and consider for a moment the “goals’ we set when it comes to our leisure activities, such as vacations or just getting together with friends. We set the goal, we share it with our family and/or friends, and we check in occasionally to make sure we’re good to go… And what happens? That’s right; it almost always comes together nearly exactly as we planned! 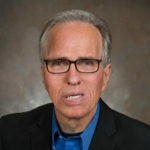 So don’t you owe it to yourself to ensure that you have that kind of success rate with your officiating avocation? The GameTracker Journal is undoubtedly a game changer in the area of officiating training, and it will be a game changer for your officiating career, all for just a fraction of one game fee. The Gametracker Journal will help you set realistic officiating goals and assist you in paving a path for personal progress, all while challenging, educating and inspiring you on a daily basis. We are confident you will see meaningful improvement in your game, and because we believe hard work is ultimately always validated, you will also see an improvement in the quality and quantity of your schedule. Assignors and supervisors want men and women who bring an image of difference approach to managing their life, and the GameTracker Journal is the tool that will transform your officiating goal from a wish into a reality. 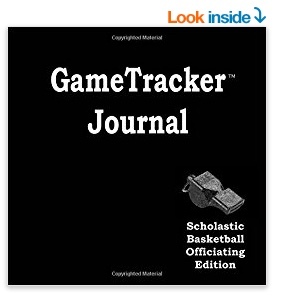 To order the GameTracker Journal via Amazon — click here. 100% of the proceeds go toward continued referee educational programs.